Those who play music professionally seem to exhibit some combination of the following traits: a need for recognition, a desire for a particular lifestyle, and an inner calling to play. 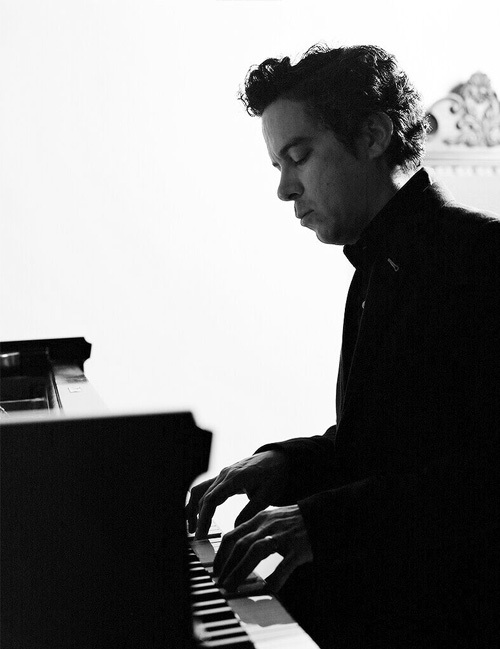 But when I first interviewed Matt Ward, better known as M Ward, more than 10 years ago, I observed an artist who seemed entirely motivated by that inner calling. Instead of booze and pizza, his rider called for a veggie tray and hummus platter. He drank bottled water before the show and graciously introduced me to the main acts, all of whom would eventually become his friends and collaborators. Fortunately, when I recently spoke with Ward, he displayed that same quiet demeanor while sharing some wisdom for musicians, particularly guitarists. Playing guitar is this great habit that I'm happy to say I developed at an early age. A lot of people have really bad habits. I'm lucky to have cultivated a really healthy one." "Playing guitar is this great habit that I'm happy to say I developed at an early age. A lot of people have really bad habits. I'm lucky to have cultivated a really healthy one," Ward tells me in the midst of his first solo tour in years to support his eighth album, More Rain (Merge Records). His addiction to guitars started when he was 15 years old and his first was a Carlos acoustic guitar. "It probably retails for $35," he jokes. "The action was really terrible, but," he offers a reminder for beginners, "callouses are especially good for slide guitars that require action high off the neck." Of course, these days with a Gibson sponsorship, Ward has access to a large supply of high quality acoustic and electric guitars. But instead of indulging, he opts to keep it simple. Both in studio and on the road, he has just a few acoustics and a few electrics. He likes a good 12-string and a nylon because "nylon has a sound that's impossible to get with a normal steel-string acoustic or electric guitars." 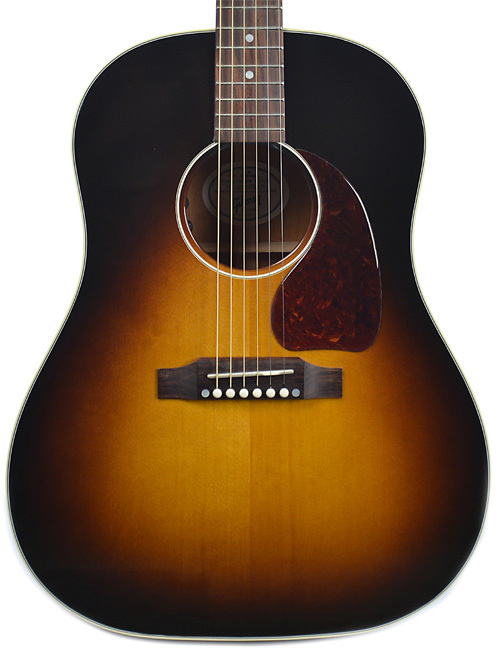 Among his purposefully modest collection, the Hummingbird is one of his favorite acoustics, along with the classic J-45. As for his electrics, Ward has a penchant for good whammy bars, in particular the elegant Johnny A model. With those on hand, Ward is tinkering away at his guitars the way a curious child tests the limits of his toys on Christmas. Elaborating on this point about playful experimentation, Ward says, "Every couple of years, I hear a new tuning that I like. So that ends up having an influence on how the songs sound and how they're recorded." For example, Ward's taste for the 6th chord urged him to compose songs tuned to D6. At other times, the strum of an open E or a D minor resonates softly beneath his intricate finger-playing on the neck. Coincidentally, perhaps, his preference for certain chord voicings harmonize sweetly with his own signature vocals. One might consider the relationship between his singing and the guitar to be a kind of love affair. That is, if Ward considered himself to be a singer. "There are a million things left to do and left to be discovered on the guitar," Ward begins to explain. "There are also a million things to learn about singing but I'm not interested in going there. I'm interested in acoustic and electric guitars. My voice is something that comes along with me but I don't wake up in the morning wanting to sing a song about somebody. I wake up every morning excited about guitar playing." Playing guitar is one thing, but historically speaking, Ward hasn't always been eager to tour. At the start of his career (not including his first gigs with the Portland band, Rodriguez), Ward recalls touring almost seven months out of the year. While touring gave him plenty of opportunities to play live, the lifestyle was exhausting. He speaks about those early years on the road candidly: "That sort of life is for the birds." And while that may have been so, it was all part of a greater plan. Because of all that touring, Ward's solo career mushroomed into a collaborative one, unofficially making him the Kevin Bacon of Gen X musicians. Between his generous personality, incredible talent and aggressive touring schedule, Ward formed relationships that led to side projects like Monsters of Folk and Howe Gelb's Arizona Amp & Alternator, to larger projects like She & Him with musical partner Zooey Deschanel. Then, outside of bands and projects, Ward's also been known to make appearances on other artists' albums, like Neko Case, Norah Jones, Brian Wilson, Cat Power, and many others. After so many guest appearances on various albums and soundtracks, it's no wonder the studio not only became a respite from the touring lifestyle, but also a safe place to develop his skills as a producer. With an impressive studio resumé in tact, last year, Ward was invited to produce Mavis Staples' album Livin' on a High Note. When asked if the talented elder had imparted any wisdom, Ward scans his memories and plucks a ripe one, "Oh yeah. In her purse she keeps a little bottle of bubbles so when she's at the airport and there's a crying toddler, she starts blowing bubbles and it makes the world around her a better place." So now, in between all of his projects and over the course of four years, Ward has finally released his eighth solo album. He enthusiastically declares, "I feel fully recharged. I'm enjoying the ride." And with that declaration, it's touring season once again for M Ward. T'was the night before another show and M Ward's tour bus is neatly packed with those pampered, well-protected Gibson guitars. Like stocking stuffers, his favorite pedals are specially wrapped, including his Boss tuners, Ibanez analog delay, ReezaFRATzitz distortion and Malekko Ekko 616 analog delay. His Fender amps, ranging from Twin Reverbs to the Blues Deluxe Reissues, are also all snug and blanketed. Soon, though, the tour will be completed and the season will be over. But it won't be long before the fans, his label and management group eagerly await another gift from Ward. It turns out there are some practices that help Ward keep his skills sharp. He shares graciously, "My instinct has always been to do more listening [than playing]. And it's not easy. If you're a writer, you're probably not reading enough. You have to do both but even more listening or more reading." My instinct has always been to do more listening [than playing]. And it's not easy. If you're a writer, you're probably not reading enough. You have to do both but even more listening or more reading." To illustrate his point further, he paints a picture of a rotating circle of artists where each one makes art while simultaneously following the artistry of their mentors as well as their mentors' mentors. For Ward, these mentors include Chuck Berry, Louis Armstrong, and late guitarist John Fahey. He refers to this practice as "listening to the influences of your influencers." He adds, "Hopefully that circle of appreciation will never be broken." When it comes to guitars and music, for Ward, the honeymoon is never over. In answer to the question of how often he stumbles across something new in the world of guitar playing, he takes a slow, belly-bulging breath followed by a very long and thoughtful pause. The pause is so long that my mind scrambles for ways to rescue the silence but he eventually exhales peacefully, "Every day. Every day I'm surprised by what one guitar can do. And then, when you combine that with all of the options inside a studio, using microphones and amplifiers. It's a never ending fascination."